After the heir of Dragonholt dies under mysterious circumstances, you receive a letter from an old friend pleading for your aide. Celyse suspects foul play from the slighted exile, Kyric, who was the young royal’s rival as rightful ruler. All clues point to him as the main suspect, but there is more to this story than what’s visible on the surface. You must assemble a team of heroes to investigate this death and stop Kyric from usurping the ancient seat of Dragonholt. 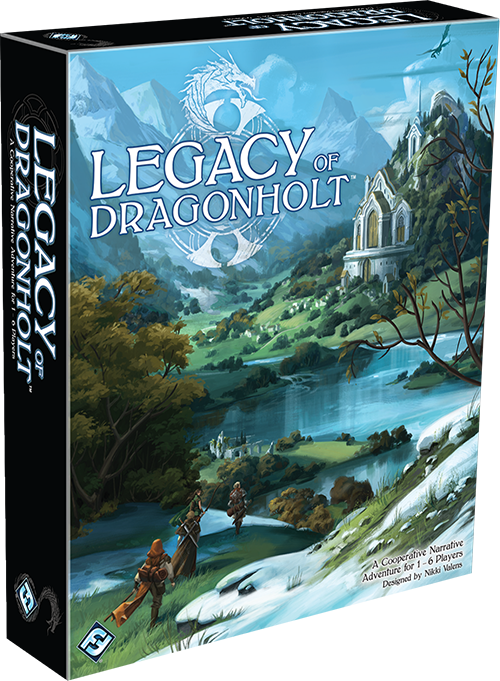 Fantasy Flight Games is pleased to announce a new cooperative narrative game in Legacy of Dragonholt! 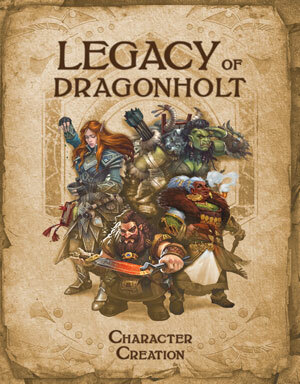 The first game to use the Oracle system, Legacy of Dragonholt contains six quests set in the Runebound universe that take as many as six daring heroes to the outskirts of Terrinoth. Adventurers build their own stories by making choices that will lead into dark caves and dangerous forests, pit them against cunning bandits and vicious monsters, earn them wealth and fame, and hopefully bring them to foil the plot of an evil overlord. This narrative adventure game allows players to become bold heroes of the fantasy realm of Terrinoth by designing characters to fit their unique personalities. To build their rich story experience, players select a race and class, create a personal description, and choose their skills. These are recorded on character sheets that heroes hold for easy reference throughout their adventures. Players may choose to become one of six different humanoid races that inhabit this land. 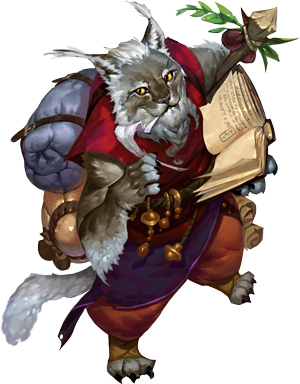 Adventurers can be resilient humans, powerful orcs, vigorous dwarves, graceful elves, crafty gnomes, or agile catfolk. Each race comes with their own unique set of abilities based on the rich history of their people. All of this and more can be found in the Legacy of Dragonholt comprehensive Character Creation booklet that details the physical appearances, cultures, and histories of each race. But a hero’s appearance is only a fraction of who they are. Their training, talents, and tactics (as detailed in a hero’s class) make up the meat of their gameplay and are primarily used in their explorations. A player may choose to become either an apothecary, bard, brawler, knight, sage, thief, or wildlander. A key strategy for a successful team is to choose classes that complement each other so that their collective abilities are balanced and refined. A troupe of singing bards may not last long against a goblin horde, while a team of knights may die in battle without an apothecary to heal them. By banding together a diverse group of adventurers, your team is sure to find success in the trials ahead. Legacy of Dragonholt presents players with a daunting mystery and series of decisions that affect gameplay. Most of all, it is not about winning or losing, but immersing oneself in a narrative of your own creation, and presenting players with a living and ever-changing universe. The Oracle system does this by capturing the immersive storytelling of a roleplaying game without the need of a game master. Every player is one of the heroes that have banded together to travel to Dragonholt, with the intuitive gameplay welcoming both new and experienced players to the Runebound universe. The decisions the players end up making will weave together a complex narrative of their adventures at the edge of the civilized world. These decisions will not only determine what happens immediately, but will have repercussions throughout the six adventures, and even determine how the quest order emerges organically through storytelling. This world will even continue to turn with or without the heroes, and every move, every interaction, every omission will change how the quest plays out. In the first quest, To New Roads, your team ponders the strangeness of Celyse’s letter as you travel the road to Dragonholt. If lives are truly in danger, you have no time to waste. But the gnome who has decided to act as your guide seems blissfully unaware of any rumors regarding danger or treachery as she leads you through Eventide Forest. Should you warn her about Celyse’s news, adopt a new role as the gnome’s protector, or separate from her before her tomfoolery gets you all killed? Another quest, Paper Faces, will have you attending a strange and intriguing ball. Lady Regina Fairfax has invited both the villagers and nobles of Dragonholt to a grand masquerade where anyone can mingle without the boundaries of social class. This could be your greatest opportunity to gather information of the unfortunate royal’s demise from the cautious locals. But be wary, danger lurks behind every mask here, and you never quite know who might be watching. Players will investigate a mysterious disappearance in the Whispering Leaves quest. First, the countess’s daughter and heir, Sonia, met her demise under dubious circumstances, bringing your party to Dragonholt. But now, her son Philip has gone missing as well. You follow his last known path to the west, but there is no sign of anyone having traveled through. The stream has swollen, making the ford impassable, but a fallen tree bridges the churning water a hundred paces on. Could the boy have abandoned his steed and continued afoot, or would he have passed on in search of a safer route? A storm is rolling in and you must find the child before all clues are lost. Which way will you choose? 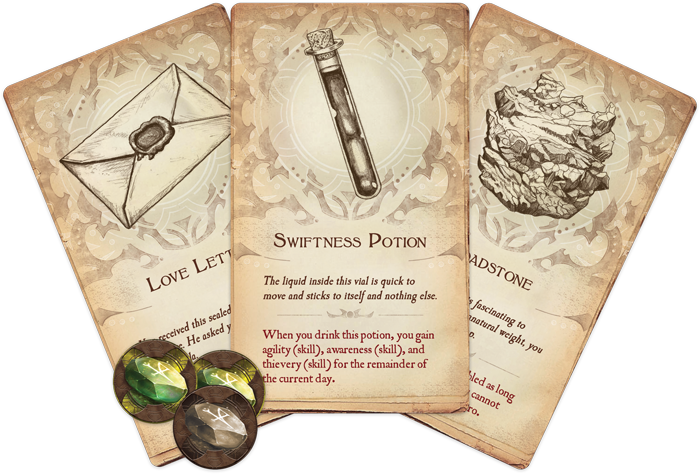 And these are just three of the six quests you’ll undertake as you explore the mystery of Dragonholt and work to solve this nefarious crime. By undertaking this journey to the edge of the civilized world, heroes know that they may never return home, and if they do, they will be forever changed. After all, no true hero is the same at the end of a story as they were at its beginning. As the game progresses and heroes fulfill their quests, they gain experience. This may materialize in the form of increased stamina, new skills, or newfound fame. These progressions make the adventurers more skillful and powerful, and are recorded on players’ character sheets. Each quest prepares the heroes to confront ever more dangerous monsters and dastardly villains as each book advances their campaign. Only by banding together will adventurers be able to solve the mystery of Dragonholt and save its citizens from dark forces. Assemble your troupe of adventurers and journey to the edge of the realm. 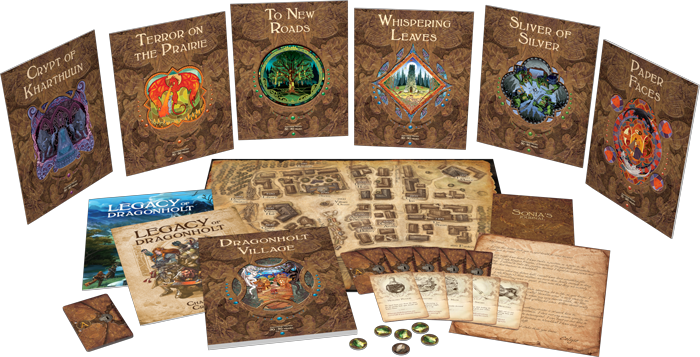 Solve the mystery of Dragonholt and find your place in the story!